Adsorbents are materials or elements that perform adsorption. Adsorption is a process by which a good amount of ions or molecules are trapped and retained which must be isolated or separated, above all, from some fluid. Among the most used adsorbent materials is activated carbon. 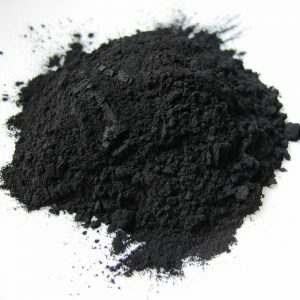 Carrboro is a form of activated carbon in a granular form specifically designs to recover cyanides of silver and gold. It is made of raw material, coconut shell and raw material with which it gets the maximized hardness in the market. It is known as recovery of precious metals by which these metals are isolated from other materials with which they are mixed or for which they are contaminated. For example, an electronic component within which gold is present may be grounded until the desired metal molecules are readily isolated. Once the precious metals have been isolated they can be easily recovered and reused for various purposes. Among the most effective processes for the recovery of precious metals, specifically, gold is the use of activated carbon. When gold is dissolved in a cyanide solution, the best way to recover it is through the use of activated carbon, which is a viable alternative to the use of zinc. Activated charcoal is placed in a bed within towers. The cyanide solution will pass through the activated carbon. When the cyanide solution passes through the bed of activated carbon the gold is trapped in the micropores. The cyanide solution is removed completely free of gold. A desorption step is performed, ie the activated carbon that carried out the adsorption of the gold is stripped of it for its recovery. Already isolated gold can be reused, just like the coal that is reactivated for a subsequent gold recovery process, can even be used in different processes, such as water filtration, as the case may be.